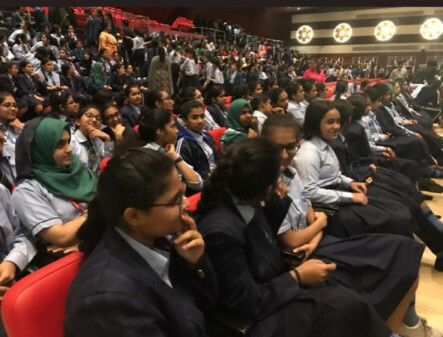 DUBAI: More than 1,500 students of the Indian High School listened with rapt attention to Indian prime Minister’s ParikshePeCharcha2 telecast live from India on Tuesday morning. The students, who were interviewed by India’s national TV channel Doordarshan, said there were many takeaways from his speech which is primarily aimed at discussing exam-related issues, including stress. One student said after listening to the prime minister, she would now focus on her exams and not think of it as a burden. “Exams are something we should learn to enjoy,” said another student, while a third said marks are not important and there is no point in getting stressed.